Take a deep dive into fine threads and how sett affects drape and color, explore a new finish—four-sided fringe—and flex your colorwork skills. Want to weave, but don't know where to begin. This free class will orient you towards the types of loom available to weavers and make the case for why the rigid-heddle loom is a great place to begin. The rigid-heddle loom is the perfect balance of simplicity and functionality. In this course, you will learn what makes a rigid-heddle loom tick, how to select yarns, read a weaving pattern, set up the loom, weave with confidence, and finish strong. Learn the know-how it takes to manage color, including fundamental principles of woven design, warping color sequences of all shapes and sizes, and weaving tips galore. When a weaving pattern assumes you know things, these are those things. Bundle and save! Begin with the basics and then keep on going. 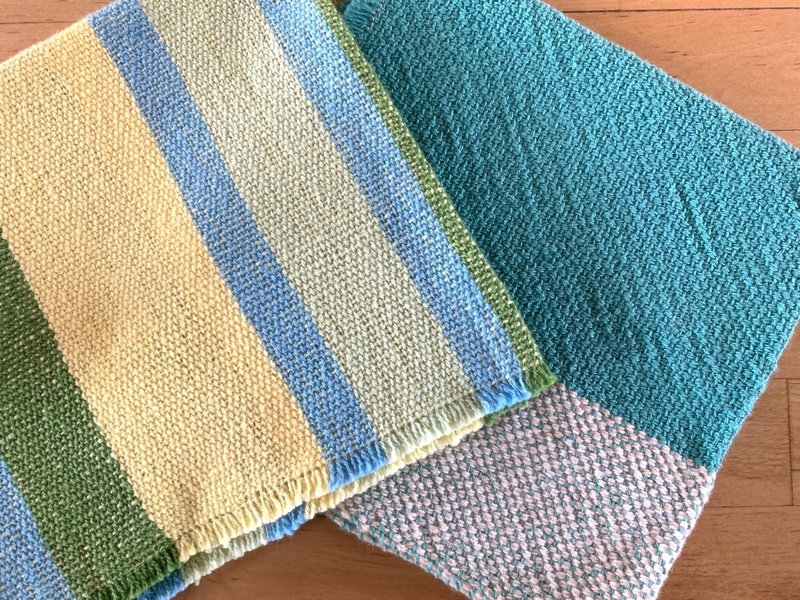 The advantage of weaving your own kitchen towels is that you can make them to fit your space, style, and needs. This easily adaptable pattern will give you four different looks from the same warp.